Since the rollout of the Ford Model T ushered in the automotive age more than a century ago, with rare exceptions, the industry has evolved at an incremental pace. Models have become more sophisticated, more comfortable, and more wired, but key factors have remained unchanged, not least that cars drive only when there’s a human driver behind the wheel. But the past decade has marked the beginning of a radical departure from this story of slow, gradual change. While its greatest impact is probably still down the road, the age of the autonomous vehicle is now upon us. About five years ago, the industry reached a critical inflection point, driven by several key factors: the emergence of artificial intelligence and the advancement of image processing technologies; the exponential increase in edge computing power; and the entry of new tech giants into the auto industry with their data-driven approaches, and deep pockets. 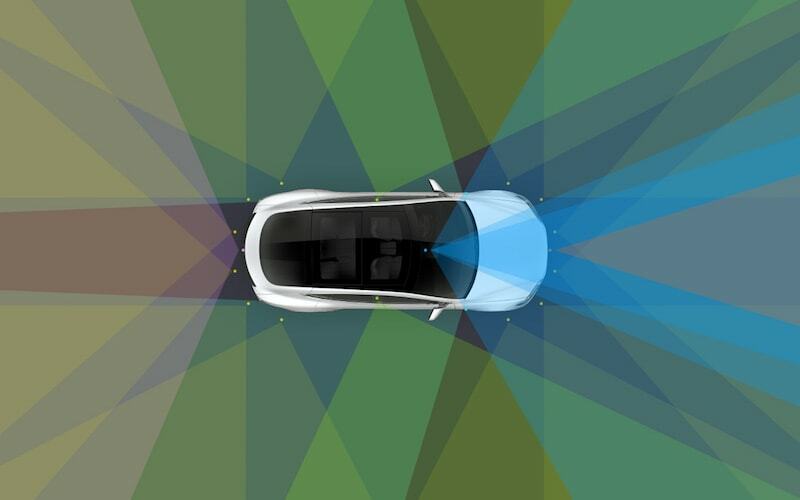 Thanks to these developments, autonomous vehicles have become a reality and can now address basic use cases, such as driving at low speeds in stable, well-defined situations. Wide-scale autonomy, in which AVs deftly maneuver through many kinds of conditions, and where people learn to trust them in their daily routines, has not yet been achieved, but auto and tech companies are pumping billions into the development of fully autonomous cars (level 4 and, one day, level 5). Now, the industry once again finds itself at a crossroads. It is not a matter of “if” anymore but a matter of “how fast” and “to what scale” autonomous vehicles will become a reality and a norm. And, as always, passing a new milestone requires not only “more of the same” but also something new. To unleash the next phase of AV development and spur mass market adoption, the industry will need not only improvements in existing technologies, but also new breakthroughs. Third-party initiatives, such as SharedStreets and Scale API, have sprung up as part of a new movement to share data. Ford, Uber, and Lyft have already signed on to contribute data to SharedStreets, which was created as a non-profit digital data exchange – in an attempt to reduce traffic congestion and emissions in cities. Likewise, self-driving car developers such as Cruise, Zoox, NuTonomy, Nurom, Pony.ai etc., send their data to Scale API, further backing the value of sharing data for advancing autonomous vehicles. Yet Scale API actively chose not to share their data with other car developers using the platform despite their founder, Alexandr Wang, acknowledging that these edge cases should be shared or standardized across the industry at some point. Likewise, many, perhaps even a majority of, autonomous vehicle developers do not share their data and even if they do, it’s on a limited basis. To achieve a host of major breakthroughs vis-à-vis autonomous vehicles when it comes to consumer trust and performance, carmakers need only to further utilize the alliances already in existence today, because autonomous car crashes and spotty performance hurt every player in the industry, no matter the data they possess. Just this past May, white hat hackers at Keen Security Lab were able to discover 14 vulnerabilities in automotive systems, including those that would allow malicious actors to take control of various aspects of the car. Industry players are already on heightened alert – considering that white hat hackers are now one of the most highly sought after jobs in the automotive industry. But hiring a handful of hackers won’t solve the problem entirely. Manufacturers and OEMS must embrace those companies that offer cybersecurity solutions for vehicles and share the vulnerabilities they do know across the industry to highlight and resolve them before hackers strike. Argus Cybersecurity and others already offer solutions such as “over the air updates” for automobiles that should be adopted across the industry. Likewise, manufacturers are beginning to implement cyber-focused hardware features, such as Infineon’s recent announcement of their industry-first trusted platform module (TPM), which safeguards communication between the car manufacturer and the car. Given the importance of public trust in paving the way towards AV adoption, taking rigorous, verifiable measures to promote security is indispensable towards encouraging adoption of autonomous vehicles. But that will only be possible if industry players – manufacturers and OEMs alike – implement and fund these types of solutions on a large scale. Vision is vital to AV technology, but as any driver can attest, navigating the roads requires a great deal more than the ability to see. If we could only see the roads but we couldn’t feel their bumps and grinds, then we’d be ill-equipped to drive. Without tactile sensing, that is, we wouldn’t feel a car skidding on black ice or be able to take a turn in an optimal way. We wouldn’t sense brake erosion or engine problems. Human drivers need to “feel” the road to drive safely and efficiently, and that’s no less true of autonomous vehicles. Tactile sensing fills this critical need, going beyond visual capabilities to provide a more comprehensive analysis of vehicle-road characteristics, like grip level, road friction, and individual road and vehicle signatures. It is no longer a question of whether autonomous vehicles are feasible: semi-autonomous features are already deployed today, even in budget cars. Levels 4/5 fully autonomous vehicles aren’t far off. Yet the successful adoption of AVs and the myriad of benefits they will bring in the future hinge on key decisions and actions that market players will make now. To realize the promise of autonomous vehicles, data-sharing protocols, advances in cybersecurity, and over-the-air capabilities are critical. Progress on these fronts will determine when and how the industry navigates the next crossroad in self-driving vehicles’ long road ahead. Previous article Does Facial Recognition AI Have a Race Problem?